To me it was not a very good performance by Soumen. He didn't do proper justice by singing this wonderful song. He could do much better but failed. I am still missing Toshi's (SVOI 1) rendition. Today was certainly not her day. The performance which we always expect from her it was definitely not. It was a soulless performance. Didn't touch me at all. It seems that she wanted to end the song as soon as possible which Shankar also admitted the same. Another wonderful performance by her on a row. It was a rocking performance. All Judges: Super Hit ?!?!?!?!?! No doubt the performance was wonderful. She sang extremely well. Didn't get the point why the judges gave her only Super Hit. Amir: You sang very well. It was not an excellent performance but a very good indeed. The only reason judges gave him Super Hit because he lost Sur in the beginning. Some how I liked Voodoo King's, Dabba's this performance. He was very good but not an excellent one the way all the judges reacted. Another over & over hyping as usual. A very average performance by her. Completely agree with Pritam that, the energy was completely missing. At the end, on Asma's special request Amir went to the stage and sang with her. Then all the judges requested him to play drums and performed Papa Kehte Hein. please stop calling debo a "Voodoo King".if u do not like his performance u have full right to criticize, but please do not make personal remarks.This applies to other contestants also.i am not a big debo fan, sometime i like his performance.He is not over hyping himself.For your kind information let me tell you he is not a "normal" person like u and me.He does stage shows in kolkata for his living.channel is playing all the dirty games by over hyping DEBO just beacause of TRP.As an old viewer of reality shows u must have realize these things now.Yashita no doubt is an excellent singer.But while writing a review u r supposed to be "unbiased" and i am very sad to say u were never.And you proved it today by saying debojeet's performance was not the best but the truth is very opposite .please be little pragmatic and try to respect others emotion while writing any such personal remark. I am also guilty of calling him a voodoo king just once. But it does not absolve me of having made the indecrition. I promise I will not gonna call him VooDoo King from now in our blog. Because there's nothing to say where truth buries alive. I always said, Yashita & Pratibha are equally best. Just for the consistency & versatility Yashita is perhaps a point above than Pratibha. Please search at my review where I marked Vaishali as Universal and Yashita History, now don't you think this behavior is not certainly of a biased person!!! Before telling this dirty word to anyone please sort out the whole thing properly that it suits for that person or not. At the review I also mentioned "I Somehow liked Debo's performance. Mark my word, this is such a song if anyone sings it will sound excellent (Because filled of emotions in the song). BTW, I will not gonna call him in that name again here because I never wanted and wants to hurt anyone. If I did it to anyone please accept my apology. After watching Debo's performance yesterday, I sincerely feel he should win this competition. Personal remarks should not be made against him as he is not fully normal, yet he has overcome his handicap and emerged such a good singer. I was surprised to kow he was a autistic child. Debo, you rock man, my good wishes are with you. One thing I wanna say that keeping Asma in the competition is a big joke. Aasma is no where even near to all other participants. Now where does she stand in front of Mitika, Shashi or Sunvinder. Now if a talented singer like Vaishali gets eliminated in pace of asma will it be fair towards Vaishali, it would be big injustice. If the channel indeed wants to retain her she can become a co-host with Aditya, that is a better option. But keeping her in the competition is very unfair towards other talented singers. In that sense i would say saregama's standard has gone down. Half way through, the producers of SAREGAMA.....PA felt the need of turning this programme into a comedy thingy. So they played upon Asma's lack of Hindi knowledge and created the present programme. Did you not see AV's of her film and other things? But now her jokes bring %$#@&* from peoples mouths . I , on my part am sick of her dumb jokes which seem to me like Blonde jokes of USA. Both of you are right, saregama has turned into a comedy show with Aasma who is extremely stupid and almost a torture to wathc and hear. God, when will this girl get eliminated? Thse channels are duping public by keeping non-singers like aasma who have no sense of music at all. I am sure she never gets any votes, it is just for TRPS she is kept! What was wrong with mitika/sahshi/arshad? they were non-cintroversial and did not create any fuss. and they cud sing well. obviously does not matter to saregama. 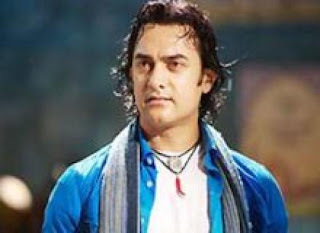 I dont think even aamir Khan was too impressed by Asma's tactics. Asma was addressing him as Tu and he was addressing her as aap. Asma crossed her limits when she asked Priety Zinta to play her mother. Saregama guys used to do such drama in their kidz show as well.There was that small boy Tanmay who used to advertise his products. He was also a non-singer but still made it to the top 3 just because of his foolish antics. Then there was a small girl Vaishali, she also used to do such funny antics, so whatever we are witnessing with Asma is not new. Saregama producers repeat their antics again and again. Everything is scripted only to raise TRP's. Samajh Ne Ke kaushish ki jiye na! Saredramapa, excellent name. Fantastic, Mind Blowing, Outstanding, History. A HOLY EID MUBARAK TO ALL OF YOU. Please accept my best wishes for Eid. Indian idol 4 judt lost a very good singer anaya mishra and voice of india lost ritisha padmanabh. I don't understand why good singers don't get recognition??? especially both the girls were beautiful and had nice voices and were complete packages...but Indian junta did not do them jutic. same with Mitika in saregama. Even mitika was eliminated at 14'th place and anaya was also. both these girls should have eben in top 5 at least. Whom do you think will win VOI...? I hope not ravi...at any rat. Out of the 3, I would like finale between vipul and malhar,a nd Vipul should win. My favourite Ritisha was eliminated. I dont want Ravi to win. So that leaves Vipul as a strong contender. But generally it has been seen a contestant who is judges favourite loses in the end. Harshit lost, Anwesha lost, Abaas lost and now Vipul is the favourite of the judges, so in that way judges overwhelming support might prove unlucky for him. We might see a very undeserving Ravi winning in the end. His support base from Rajasthan is also quite solid. Ravi is basically from Rajasthan though he lives in Delhi. What you say? Same for Hemant Da, Jatin & others. In II4, Prasanjit,Boy from Calcutta, Torsha and Male Meena Kumari , Shini and Bhavya are worth hearing. Final three should be Male Meena kumari, Shini and Prasanjeet. These are all goo and so is Bhnau,but he is abit overhyped. I don't like kapil,kuldeep,mohit and remo at all. Each contestants of SRGMP 2009 gonna perform with one contestants from SRGMP 2007. WHAT?! zaheer eliminated and aasma still at large. What apathetic show. Anyway, I guess debojit saha is from challenge 2005. They should have got Himani,nihira and hemu from that season as well. Hemachandraa nd pratibha would be amazing. Don't like the idea of raja and assma at all. he would hate her besurapan. Legendary Ghazal singer Jagjit Singh is incensed by the Mumbai terror attacks and thinks that all Pakistani artists should be banned from Bollywood. He said, "Bollywood should ban them. That's all. It is as simple as washing your hands after using the toilet. India should ban or cut all relationships with Pakistan as soon as possible. Some Pakistanis come with weapons comes to India, others, to earn money and fame. They come to earn money and don't even pay taxes in our country. What's the point of giving them a platform here?" I really wish the govenment of India reads this post.